I have exciting news! Most of my fans know how much I love DISH Network. I have had DISH for about 2 years now and I could not be happier. They always bring me all the best channels and programs I could want. You can read more about my Journey with DISH network from my installation to all the latest news. Now Dish has announced they will deliver NBCUNIVERSAL’S 4K HDR Coverage of PyeongChang 2018 Winter Olympics! For the first time, The Winter Olympics will be available in 4K HDR, marking an exciting milestone for both the TV industry and Olympic viewers,” said Vivek Khemka, DISH executive vice president, and chief technology officer. “We’re pleased to work with NBCUniversal to give customers access to this year’s inspiring Olympic performances in the clearest resolution and richest color palette available, maximizing the potential of their 4K HDR TVs. 4K HDR coverage will be available on one-day delay and include footage from the Opening Ceremony, figure skating, hockey, short track speed skating, ski jumping, and snowboard big air, as well as PyeongChang scenics. Up to three events from the previous days’ competition schedule will be provided daily on DISH channel 540 from Feb. 10, the day after the Opening Ceremony, through Feb. 26, the day after the Games conclude. 4K HDR provides audiences a more realistic picture with enhanced brightness, contrast and color. To view NBCUniversal’s 4K HDR coverage, DISH customers must have a Hopper 3 and 4K HDR television. Exclusive sports hub on channel 147: DISH will offer an exclusive sports hub, labeled in the guide as “2018 Winter Olympics Channels,” for easy navigation of NBCUniversal’s Olympic coverage across five networks. 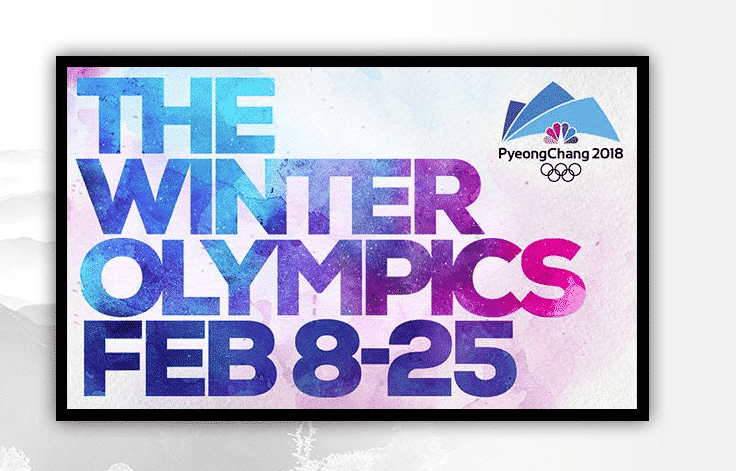 “Olympic Winter Games” app: Available on internet-connected Hopper, Hopper Duo, Joey and Wally set-top boxes, the app features updated medal counts and showcases the complete Olympics roster by schedule and network. Olympics on-demand: DISH will offer customers more than 150 hours of NBCUniversal’s on-demand Olympics programming. Sports Bar Mode: Available on Hopper 3, Sports Bar Mode allows viewers to watch up to four Olympic programs simultaneously. This mode divides an HD or 4K TV into quadrants, each with the ability to play a different channel. NBCOlympics.com & NBC Sports app: NBCOlympics.com and the NBC Sports app will feature 1,800 hours of live streaming of Olympic events. Customers can easily verify their DISH subscriptions to access this content.